Let us crunch the numbers, so you can focus on taking your business to new heights! 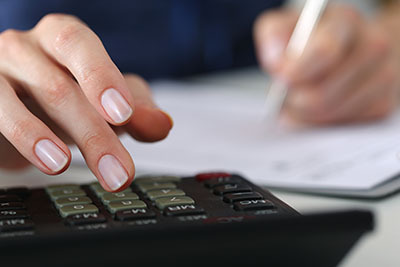 We work with your CPA to provide you with financial reports you can use to make key decisions. We want to help you establish a solid bookkeeping process - how to record transactions, how you keep things organized and how you track the metrics that mean the most for your business. By keeping your books accurate and up to date, it allows your CPA to do regular tax planning for you - which results in no surprises at tax time! Access your financials online using web-based accounting software. We know it’s cliché, but your business accounting is the lifeblood of your business. You must know your numbers! By utilizing products like QuickBooks Online®, you can access your company’s financials 24/7 to run reports, create invoices, etc. See your bookkeeping and payroll more clearly! Our approach to working with clients involves a sense of ownership. While we’re always clear about who is in charge, we tend to look at the accounting as if it was our business. With this approach, our bookkeepers become more invested in the success of your business. We’re constantly looking for ways to improve your bottom line. Whether you need help getting started, or you're looking to fully outsource your bookkeeping, our team will provide valuable feedback and solutions to all your accounng needs. We are devoted to helping you surround yourself with knowledgeable people in order to emerge with a better accounting structure for your business’s future.